SEATTLE--(BUSINESS WIRE)--Oct. 27, 2014-- (NASDAQ: AMZN)—Less than seven months ago, Amazon introduced Amazon Fire TV, and it quickly became the best-selling streaming media box on Amazon. Today, Amazon is bringing the same experience customers love about Amazon Fire TV—ease of use, great performance, and vast selection—to a smaller and even more affordable device. Introducing Fire TV Stick, a small stick that connects to the HDMI port on your HDTV for instant access to movies, TV shows, music, photos, apps, and games. Fire TV Stick is just $39 and is available for pre-order starting today at www.amazon.com/fire-tv-stick and will ship November 19. As a thank you to new and existing Prime members, Fire TV Stick is available for two days only for just $19 on Amazon.com. Fire TV Stick delivers instant access to a vast selection of content, including the most popular video and music services such as Netflix, Prime Instant Video, Hulu, WatchESPN, NBA Game Time, Twitch, SHOWTIME ANYTIME, Prime Music, Spotify, Pandora, Vevo, Plex, A&E, PBS, PBS KIDS, WATCH Disney Channel, YouTube.com, and more. The number of video services and games available on Amazon Fire TV has tripled in just seven months, with more services and games being added every week. You can also rent or purchase over 200,000 movies and TV episodes from Amazon Instant Video, which has the world’s largest selection of videos to rent or buy, including new releases and blockbusters. Whispersync—Amazon’s Whispersync technology saves and synchronizes your video and music library across all of your devices. Start watching a movie on your phone or tablet, and when you get home, pick up where you left off on your TV. For games that support Whispersync, your place in the game will also sync across devices so you can always pick up where you left off. Watch on hundreds of devices—When you buy a movie or TV show on Amazon, you can watch it on hundreds of devices, including iOS, Android, and Fire OS devices. Top-Rated, World-Class Customer Service—When a customer shops on Amazon, buys a Fire TV Stick, or buys digital content from Amazon, they know that they are also getting Amazon’s world-class customer service. Customers with a Fire HDX tablet or Fire phone can also use the Mayday button to receive 24x7, free, live, on-device tech support for all their Amazon devices. Free Month of Amazon Prime—Amazon continues to invest hundreds of millions of dollars to bring Prime members new movies, TV shows, songs, and books to enjoy at no additional cost. Prime members enjoy unlimited, commercial-free, instant streaming of tens of thousands of movies and TV episodes with Prime Instant Video. Eligible customers get a free 30-day trial of Amazon Prime when they purchase Fire TV Stick. 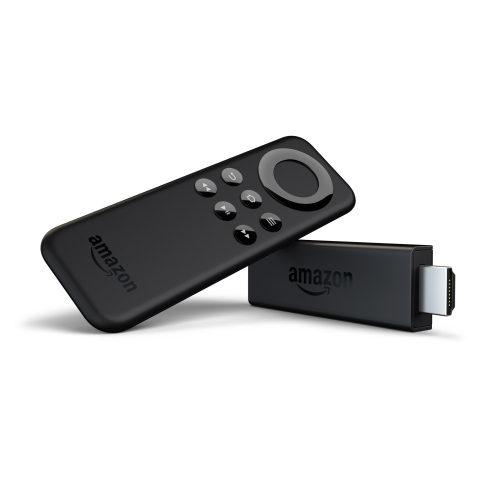 Fire TV Stick is available starting today for just $39—order at www.amazon.com/fire-tv-stick. As a thank you to Prime members, Fire TV Stick is available for two days only for just $19 on Amazon.com. Customers who are new to Prime can sign up for a free trial and also receive this special price. Images of Fire TV Stick are available at www.amazon.com/pr/devicesandcontent.